On the 26th (Tue), take in the pleasant sights at Otsamo Fell, hike along Juutua Nature Trail, then pause for some serene contemplation at Pielpajarvi Wilderness Church, and finally see the interesting displays at Siida. To see reviews, other places to visit, ratings, and more tourist information, go to the Inari trip maker site . Berlin, Germany to Inari is an approximately 13.5-hour flight. You can also drive. Due to the time zone difference, you'll lose 1 hour traveling from Berlin to Inari. In March in Inari, expect temperatures between -1°C during the day and -12°C at night. Cap off your sightseeing on the 26th (Tue) early enough to go by car to Akaslompolo. On the 27th (Wed), stop by Akaslompolo Sportshop, get a dose of the wild on a nature and wildlife tour, and then get outside with Seven Fells Up. Get ready for a full day of sightseeing on the next day: ski along the peaceful trails at Levi Ski Resort. To find photos, maps, where to stay, and other tourist information, read Akaslompolo route maker . Drive from Inari to Akaslompolo in 4 hours. Alternatively, you can take a bus; or take a bus. Expect a daytime high around 0°C in March, and nighttime lows around -10°C. 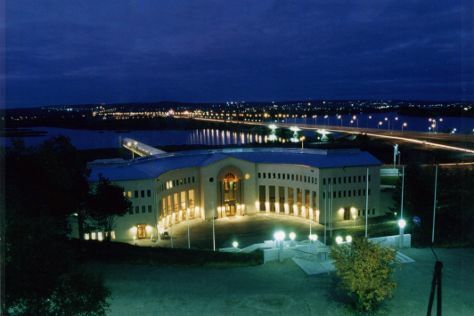 Finish up your sightseeing early on the 28th (Thu) so you can go by car to Rovaniemi. On the 29th (Fri), take an in-depth tour of Arktikum, take an exotic tour of a safari tour, and then get in on the family fun at Santa Claus Village. For more things to do, photos, where to stay, and tourist information, read our Rovaniemi vacation maker website . You can drive from Akaslompolo to Rovaniemi in 2.5 hours. Another option is to take a bus. Expect a daytime high around -1°C in March, and nighttime lows around -9°C. Finish your sightseeing early on the 29th (Fri) so you can travel back home.